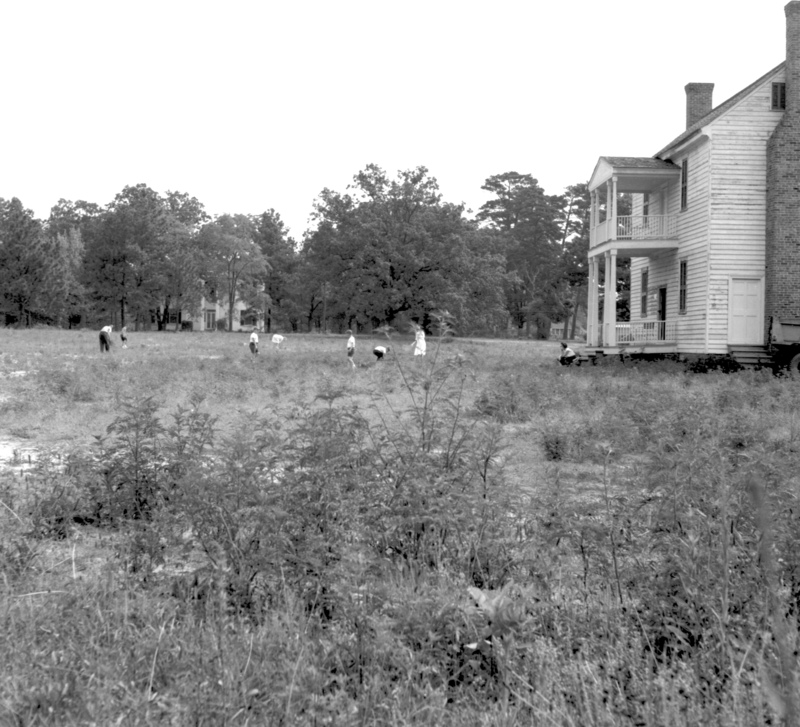 Eleven women of the Wake Forest Garden Club began a campaign in 1956 to raise funds to save the building where Wake Forest College was begun, the Calvin Jones house. They were successful in raising $2,500 and obtaining a matching donation from the College to move the house. Within months, the old structure had been carefully transferred six blocks up North Main Street to four acres given by the College. Restoration of the exterior of the house was completed in late 1963. The Wake Forest Community Council painted the exterior as a Bicentennial project funded by sixteen community groups. Basic landscaping of the site followed, and soon an anonymous gift enabled the restoration of the rooms. 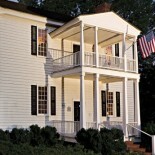 Enough furnishings and memorabilia had been collected by October of 1979 to open the house as a museum. This entry was posted on July 17, 2013 by wakeforestmuseum in Birthplace Society and tagged Calvin Jones House, Wake Forest, Wake Forest College, Wake Forest College Birthplace Society.